What are the Major Australian Visa Types? Each year apparently millions of people visit Australia under various visa categories made available by the nation to all the willing aspirants intending to enter the country. People from various cultures and backgrounds, regardless of age and gender enter this land, all of them who share one thing in common, which is nothing but a valid visa. This authorizes them to visit the country for a particular cause. Though it appears that there are various types of Australian visas, all of them can all be categorized into certain types, named as skilled, travel, family, spouse, work holiday or business. Each of these types hold varied visa requirements and documentation. 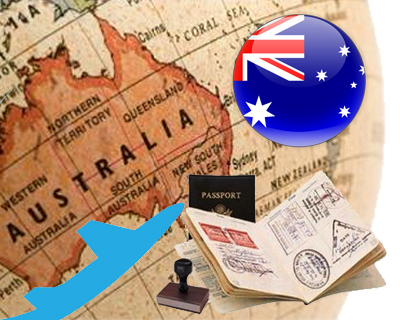 Travel Australian visa: If the intent of travel to Australia is mainly for the purpose of meeting friends, family or sightseeing a travel Australian visa will be required. Most of the people, who wish to make a holiday in Australia, opt for this visa type. Working holiday visa: Students, who are above 18 and below the age of 31, can apply for a working holiday visa. This allows them to work in the country while studying for maximum two years. Business Visa: Business visa are issued to the business owners to reside in the country if they make a significant investment in the country fulfilling the required criteria. Skilled Independent Visa: People intending to immigrate to Australia have to nominate an occupation on the skilled occupation list and must have acquired suitable assessment of the selected occupation. Also, one must have attained the minimum score as mentioned in the letter of invitation with competency in English. Family Sponsored Visa: One of the easiest ways to immigrate to Australia is through this category. If there is a family member residing in Australia with permanent resident status, then he or she can sponsor you. Spouse Visa: Similar to a family visa, an individual with permanent resident status or with the citizenship status can sponsor his or her spouse on condition that he or she is able to support the applicant during the initial two years of stay in the country. So, prior to making an application for an Australian visa, it is always suggested to opt for the appropriate visa amongst the various Australian visas available. People who are intrested about Australia Immigration please fill out our MoreVisas Enquiry Form, and you may follow us @ Facebook, Google+ and Twitter.